This entry was posted in activism, news and tagged men's rights by admin. Bookmark the permalink. 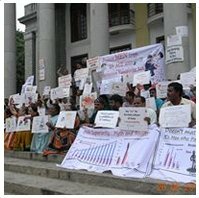 A protest (dharna) was organised by Centre for Men’s Rights in Bangalore, India on 26th May against Marriage Laws (Amendment) Bill, 2010 which introduces Irretrievable Breakdown of Marriage (IrBM) as a valid ground for divorce. Similar protests have been organised in other cities like Mumbai and Pune. Men’s rights activists and civil society from all over India has planned to do a similar protest in Delhi on 18th Aug, 2012. The brief of the event and description is given below. To know the exact venue, kindly follow the link to Facebook event below which will be updated by latest information by the organisers of the protest. Dilli Chalo if you want to “Bring about the Change”!! Govt.of India is all set to pass a law that will simply disempower husbands from owing their own hard earned property in the event of a divorce. And it would apply blindly, like a formula on all marriages. 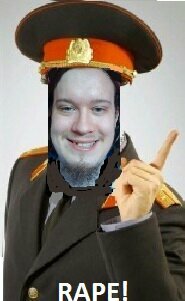 Also, Govt. neither ready to disclose amended clauses in the bill, nor ready for a dialogue with men’s rights activists to consider the rights and interests of husbands in the law. Join this mass protest against fascist gender-biased and anti-male law making in India allowing unconstitutional laws to be passed. People from all over India must join this protest and raise their voice against misandry.